Glenburn’s Katie McLaughlin has been hired as an assistant coach with the Colby women’s hockey team. She just graduated from the school last Sunday, and she’ll be coaching her sister next year. 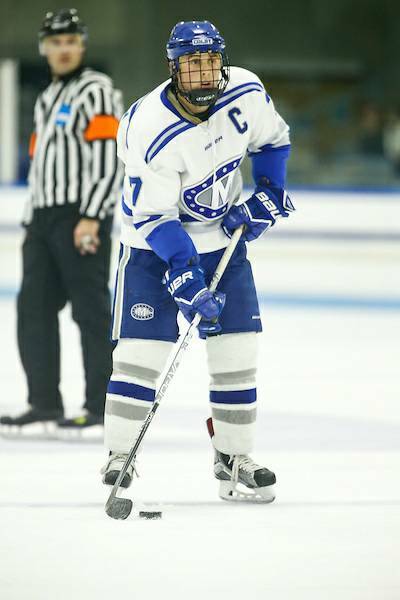 WATERVILLE, Maine – Jack Burton won three awards, including the team's top player, for the Colby College men's hockey team at the squad's annual awards ceremony. The Mules' guests of honor were their eight seniors: Devin Albert, Burton, Kevin Doherty, Scott Fenwick, Kai Frankville, EJ Rauseo, Colin Reilly, and Geoff Sullivan. Burton capped his banner year with the Defensive Player of the Year, the Todd McGovern Teammate of the Year, and the Ellsworth W. Millett Most Valuable Player. He scored six goals (five on the power play) to go along with 16 assists for 22 points. He played in every situation for the Mules and was a big factor offensively and defensively. 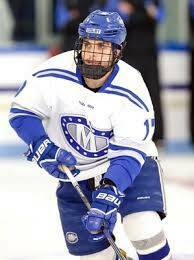 Burton capped his career at Colby by signing an amateur tryout with the Indy Fuel of the ECHL, playing four games to start his pro career. Reilly was the recipient of the Academic Achievement Award for the third consecutive year. Reilly graduated recently with a degree in Economics: Financial Markets and had the third-highest grade point average of senior student-athletes over his four years at Colby. Reilly was a dual award winner, also taking home the Todd McGovern Teammate of the Year Award for his commitment to the program and being a great teammate. The Mal Wilson Humanitarian Award was given to Rauseo for his commitment to community service work. He has spent extensive time over his four years working with the Waterville Public Schools, Colby Cares About Kids, and Team IMPACT to help mentor and teach young children. Michael Rudolf '18 was honored as the Unsung Hero of the 2016-17 season. Michael led the team with 10 goals, including three game-winning scores and three more that tied the score. In addition to his ability to score clutch goals, Rudolf has an unwavering work ethic and a quiet determination to the way he goes about his business. Leading the team with 25 points in 24 games, junior Phil Klitirinos was named the 2016-17 Norman E. Walker Most Improved Player. He had a consistent presence on the scoresheet for the Mules, picking up points in 16 of 24 games. Klitirinos also had a number of multi-point efforts, recording seven games with at least two points and two three-point games (vs. Bowdoin, at Middlebury). Sullivan was named the winner of the Jack Kelley Coaches Award for his outstanding leadership and commitment to the program. He was a two-year captain and an important presence on the ice. Sullivan's work to push his teammates to success helped lead the Mules to a NESCAC second-place finish in 2016-17. Always an Honors to Host USA Hockey Women at UNE's Alfond Forum.